Piab vacuum pumps/generators are predominately based on the patented COAX® technology. 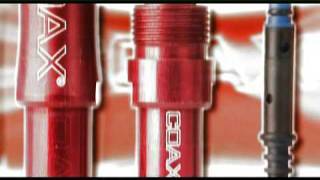 COAX® is an advanced solution for creating vacuum with compressed air. Based on Piab’s multistage technology, COAX® cartridges are smaller, more efficient and more reliable than conventional ejectors, which allow for the design of a flexible, modular and efficient vacuum system. 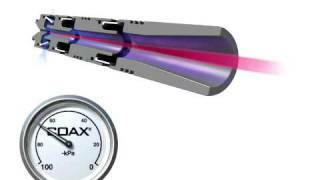 A vacuum system based on COAX® technology can provide you with three times more vacuum flow than conventional systems, allowing you to increase speed with high reliability while reducing energy consumption. COAX® cartridges exist in several sizes (MIDI, MINI & MICRO) and models (Bi, Pi, Si, Ti & Xi), making them suitable for every application. The technology ensures excellent performance at both low and high feed pressures. Pumps based on COAX® technology can operate within the feed pressure range of 0.17 to 0.60 MPa.